Forest Charter School students Summer Laurin, Elana Hierman and Izze Garfinkel practice a skit designed to help the students work on conflict resolution during a workshop held by Creating Communities Beyond Bias on Nov. 16. SantaCruiz-Reed joined their efforts in April 2012. 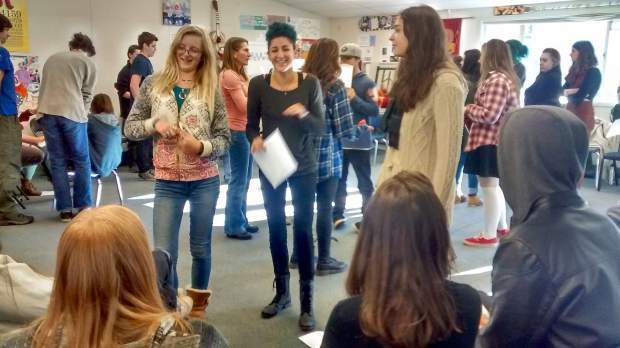 Over the past couple of years, the group has given presentations and conducted workshops at several county schools, including Nevada Union High School, Lyman Gilmore Middle School and The Woolman Semester School in Nevada City.